Dance Your Way to Fitness. One problem that people run into when exercising is workout boredom. That cardio workout at the gym soon becomes a chore even though regular cardio exercise is vital for your health. That twice weekly visit to the gym to run on the treadmill or use the exercise machines very quickly lose their attraction. By combining cardio exercise with the fun of dance is a great way to keep fit. 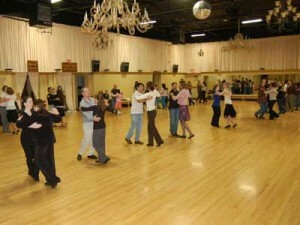 So why not combine exercise with pleasure and join a Seattle-Renton dance instruction class? Any exercise becomes more effortless if you do it with other people and to a dance beat.